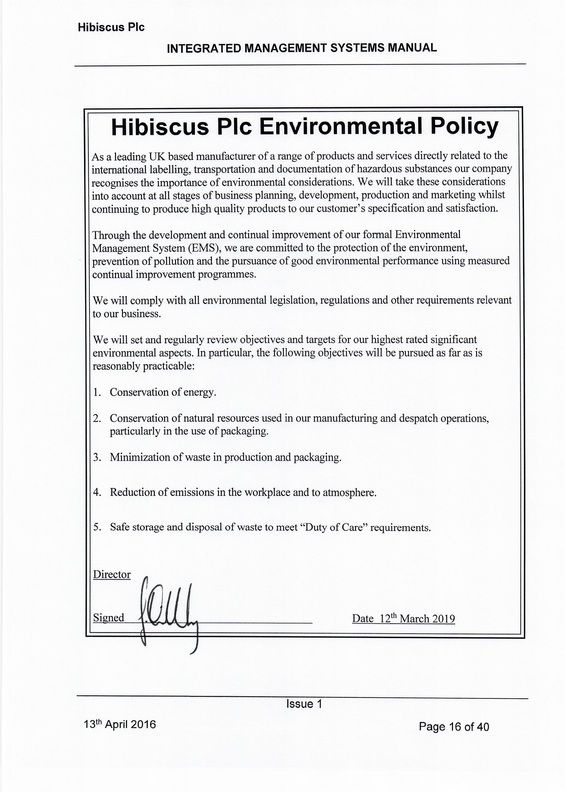 We are pleased to announce that Hibiscus Plc has been awarded the ISO14001 Certification, for its label manufacturing facilities in Leeds, recognising our ongoing commitment to continuous improvement. 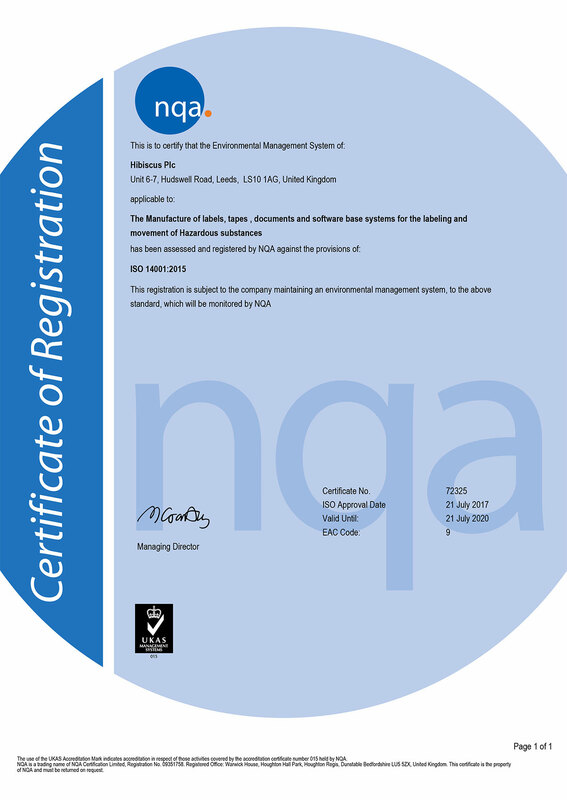 ISO14000 is a family of international standards related to environmental management that aims to help organisations minimise how their operations negatively affect the environment, comply with applicable regulations, and continually refine and develop these systems. 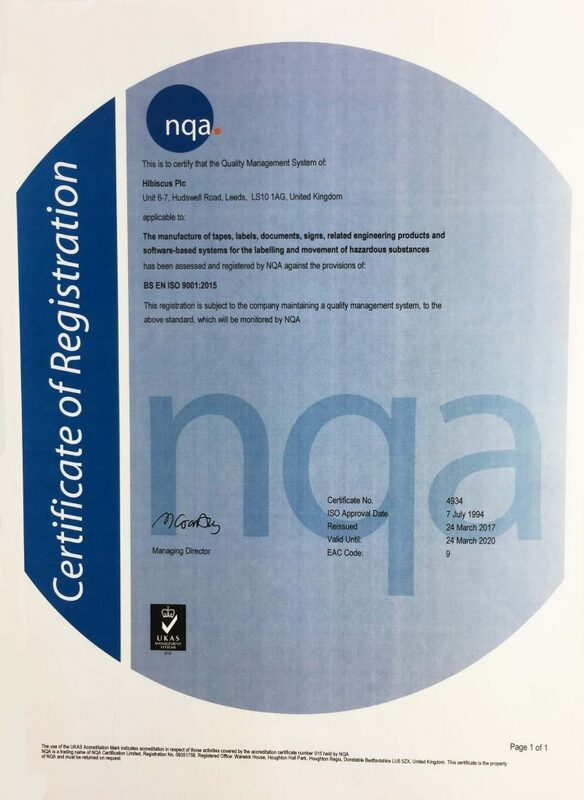 Quality and responsibility are at the core of Hibiscus Plc’s values and gaining certification for two key management system standards: ISO9001 for quality and ISO14001 for the environment, helps us to demonstrate this to both our employees and our customers. Achieving certification shows our commitment to being a more sustainable organization and the ISO14001 award is consistent with our corporate values and philosophy. These awards are the recognition of a lot of hard work and a validation that Hibiscus is truly a market leader in developing high quality, performance driven, environmentally-responsible products and solutions. 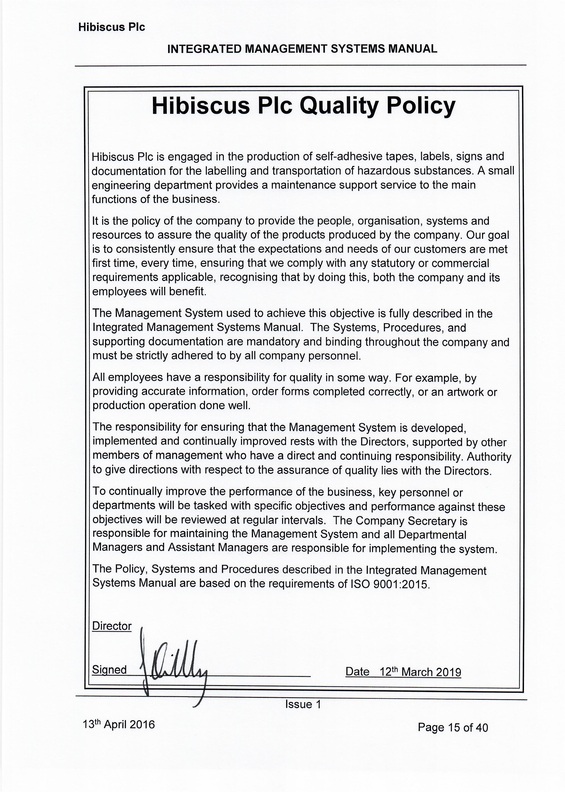 We will continue to hold ourselves to the highest possible standards and persue relationships with companies and organizations who share the same ideals.